Can anyone score against Carey Price? 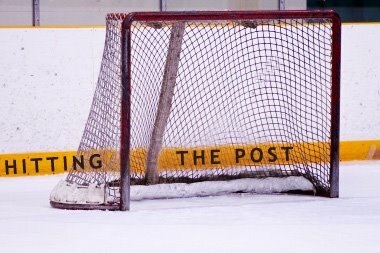 Every goalie has bad games now and then. Carey Price is trying to buck that trend. Price stopped 27 shots to lead Montreal past Ottawa, 4-1, for the Canadiens' third straight win and fourth in the last five games. In 26 starts now, Price has allowed zero goals or one in 11 of them. Only twice has he conceded more than three goals, and both of those were just four-goal outings. If Montreal had a better offense, Price would have even more than an already-league high 17 wins. In the 11 games Price has allowed three or four goals, Montreal has provided just 22 goals of support. The Canadiens have a 2-7-2 record in those games. Brian Gionta had a goal and assist and Mike Cammalleri, Jeff Halpern and Roman Hamrlik also scored. In the battle of the elements, it didn't seem like there were many fireworks. Calgary failed to register 20 shots but got four past Dan Ellis and knocked off Tampa Bay, 4-2, behind a goal and two assists by Rene Bourque. Corey Sarich, Tom Kostopoulos (I can spell that name without looking but I still struggle with Valtteri Filppula) and Jarome Iginla also scored for the Flames. Tampa Bay managed just 24 shots against Miikka Kiprusoff, who made 22 saves. Steven Stamkos went scoreless for the third straight game and has no goals in six. --Dennis Seidenberg's slap shot from the point on the power play hit teammate Mark Recchi in front of the net and was correctly declared a goal after video review to give Boston a 3-2 overtime win over Buffalo. Nathan Horton had a goal and assist and Tim Thomas made 28 saves for the Bruins. --Stephen effing Weiss, freshly-cut from a certain recapper's two fantasy teams recently, scored his second goal of the game in overtime to lift Florida past Colorado, 4-3. David Booth had a goal and assist for the Panthers, who got 22 saves from Tomas Vokoun. --Rookie Cam Fowler scored in the 10th round of the shootout to give Anaheim a 3-2 win over Edmonton. Saku Koivu and Teemu Selanne each had a goal and assist and Jonas Hiller made 34 saves for the Ducks. --Congratulations and condolences both to Sabres rookie Luke Adam, who scored his first NHL goal tonight but also took a four-minute high sticking penalty in overtime that led to Recchi's game-winner. --Price's season has to be one of the top two or three impressive performances, at least, among goalies, doesn't it? Heck, perhaps among anybody. Tim Thomas is having a great rebound year, but he won the Vezina a couple years ago, so we knew he could do it. After that early trouble with the whole fainting-then-concussion thing, Ondrej Pavelec has been stellar. Sergei Bobrovsky is the leader in the Calder race. But Price is having by far his best season of his career even though he lost the No. 1 job last season. --I haven't been able to watch any Lightning games of late, but what's happened to Stamkos? I dunno, ever since he scored 20 goals in 20 games and the "can he do 50 in 50?" questions started, he hasn't done anything. Coincidence I guess. --By the way, if that ends up being a reverse jinx and he explodes soon, I'm fine with that. He's the cornerstone of two of my fantasy teams. --So start scoring again, jerk. --I don't know, do we start calling the Northwest Division the worst right now in the league? Vancouver has the fewest points of any division leader and despite a four-game losing streak and a 4-3-3 record in its last 10, Colorado is still in second. --Though it's not like the Eastern divisions are stacked from top to bottom. Tough to judge these things.